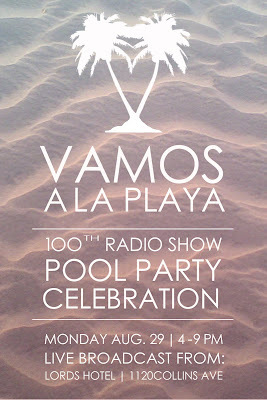 Vamos A La Playa 100th Episode Live Broadcast Pool/ Dinner Party! This MONDAY 8/29 from 4-9pm. 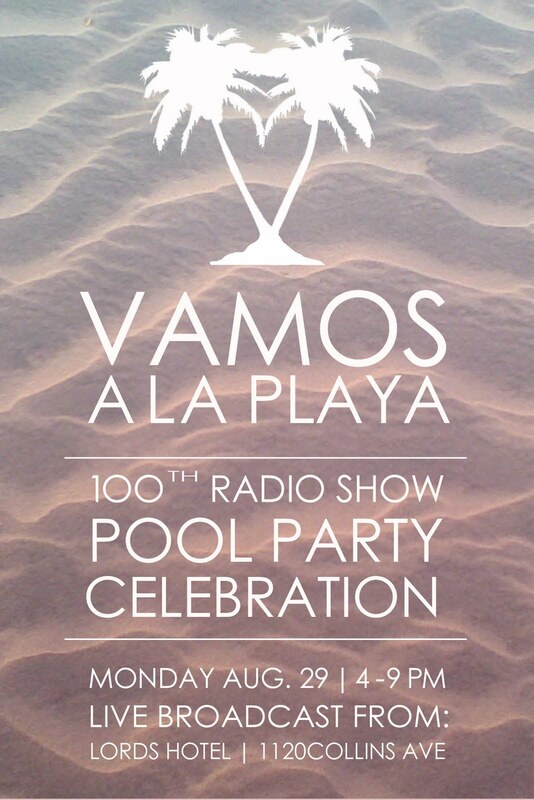 We'll be broadcasting live the 100th EPISODE from the LORDS HOTEL which is on 11th & Collins Ave in South Beach. Bring your bathing suit and come hungry!! ALL AGES WELCOME!!!! You're never too old for Disco.